Summer may be coming to end, but here in Texas we need our sunglasses all year ’round. And I don’t know how many pairs of sunglasses I have ruined because I tossed them into my purse unprotected. I finally decided it was time to do something about it! 1. 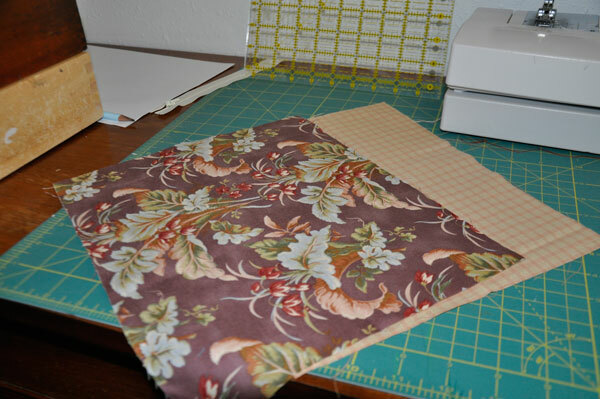 Cut fabric and batting (9 inches x 12 inches). Press flat. 2. 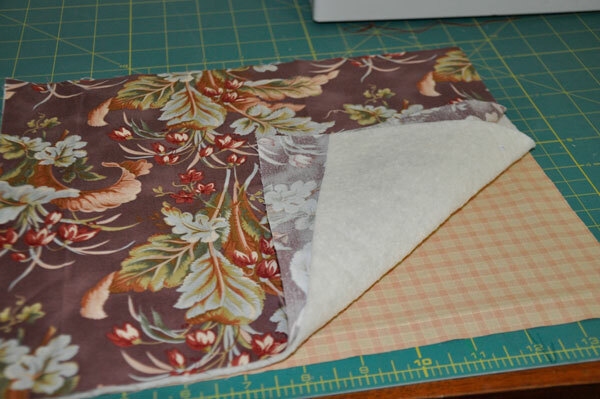 Layer the fabric with the right sides of the fabric facing outward and the batting sandwiched in between. Pin together. 3. Quilt the 3 pieces together. 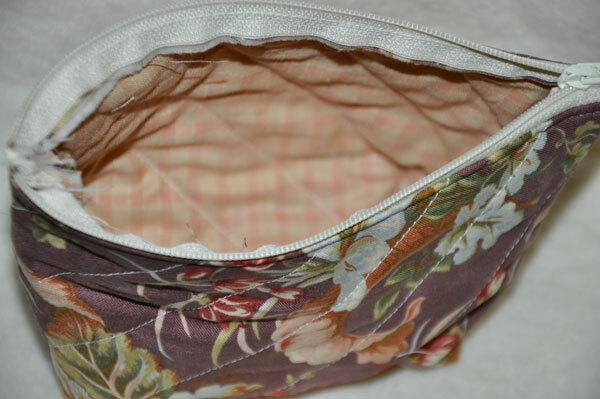 This is simply done by sewing across all three fabrics in small intervals. 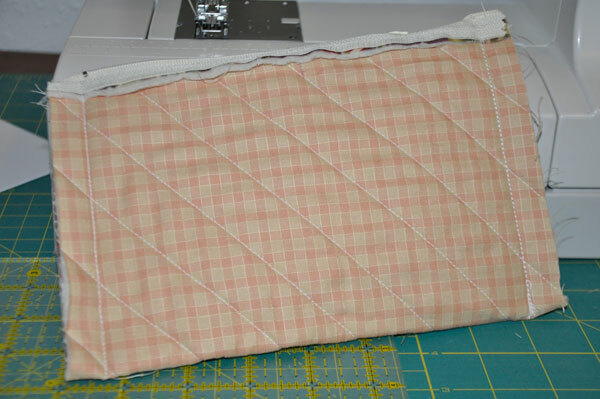 For this case, I sewed diagonal lines 1 inch apart. 4. Open the zipper. Pin one side of the zipper to the front, short side of the fabric. 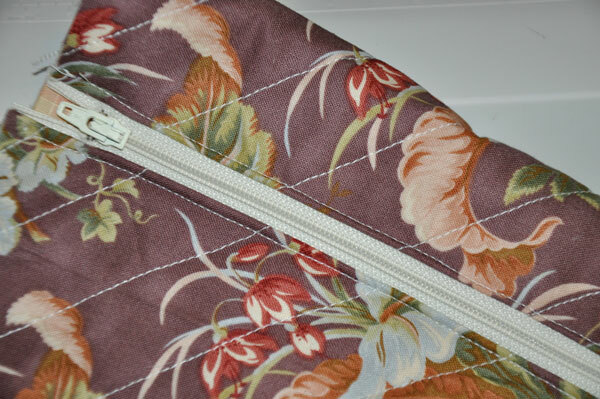 Make sure the front of the zipper is facing the front side of the fabric and is centered. 5. 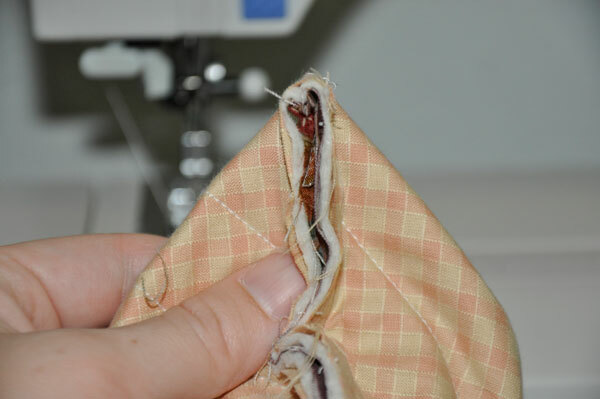 Using a zipper foot, sew the zipper to the edge of the fabric. 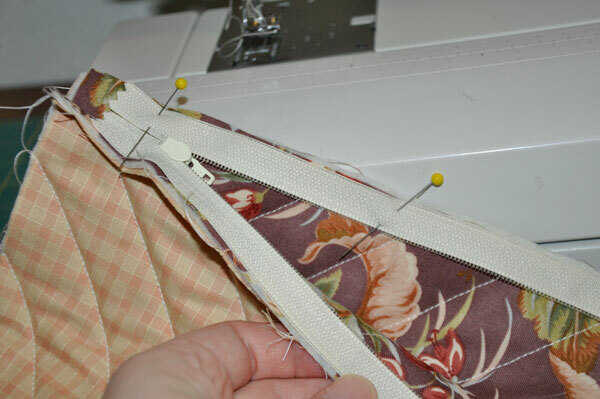 Once you have sewn to the zipper pull, stop sewing (but leave the needle in the fabric), raise the presser foot, and zip the zipper closed. 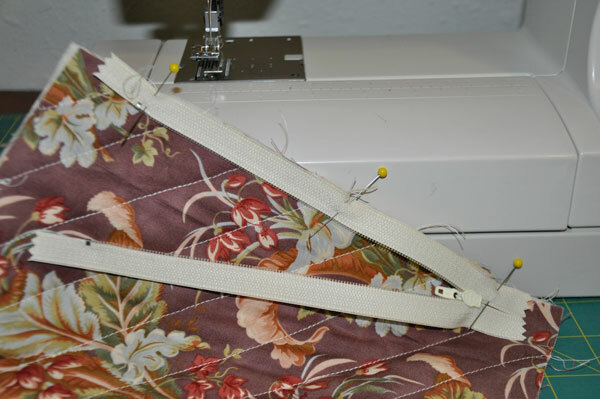 You will now be able to continue sewing the rest of the side of the zipper. 6. 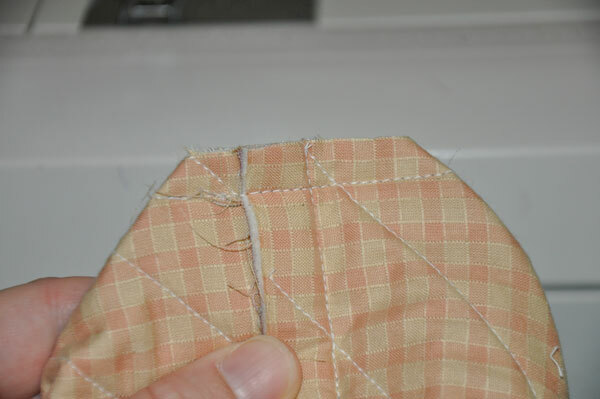 Fold the fabric in half, right sides together. Center the zipper. 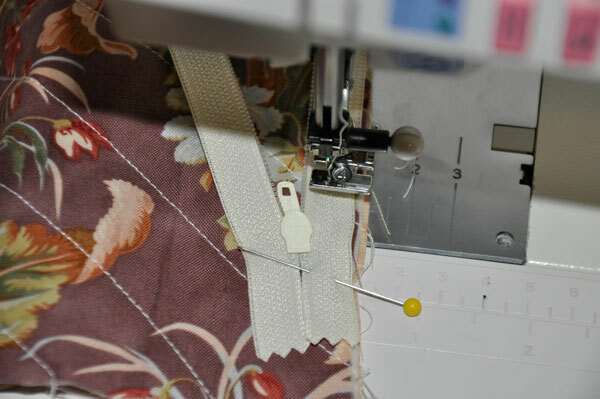 Pin the loose side of the zipper to the other side of the fabric, making sure the right side of the fabric faces the right side of the zipper. 7. 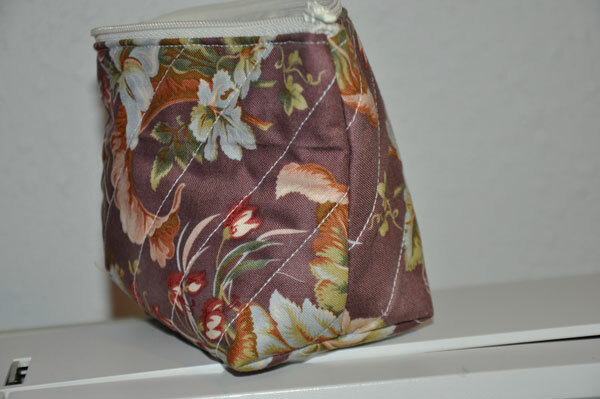 Turn case inside out (so that the right side of the fabric is facing out) and unzip the zipper. 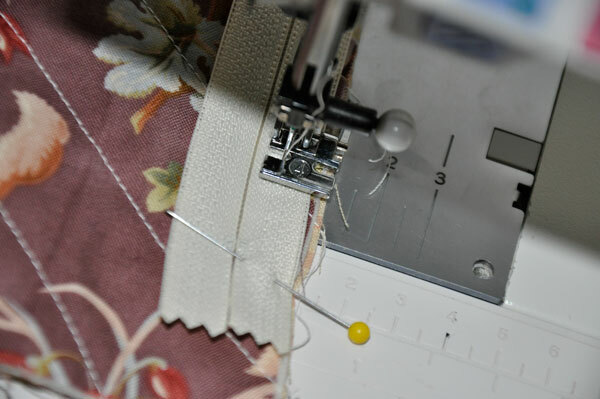 Sew along the edges of the zipper. This keeps the seam allowances flush against the inside of the case. 8. Turn case inside out again. Sew sides closed using a 1/2 inch seam allowance. 9. Next, we will be boxing the bottom two corners. 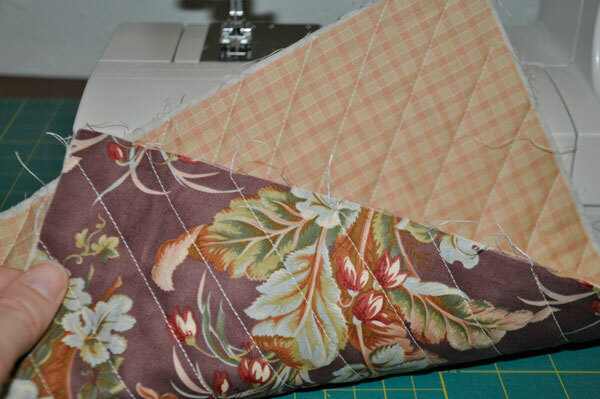 Take one of the bottom corners and fold it flat with the seam in the middle. 10. 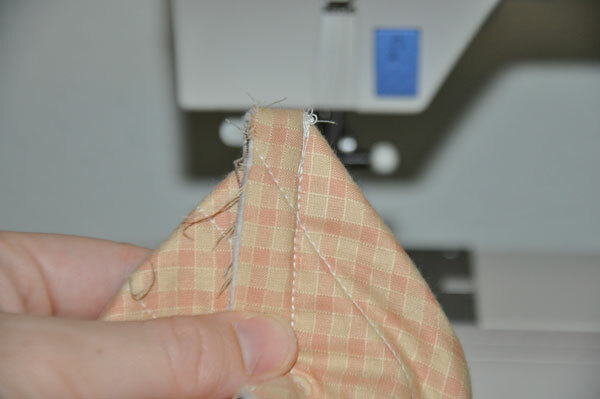 Fold the seam to one side. 11. Measure down 1 1/2 inches from the top of the corner. Sew across the corner, then trim fabric. Repeat for the other corner. 12. Turn case inside out. 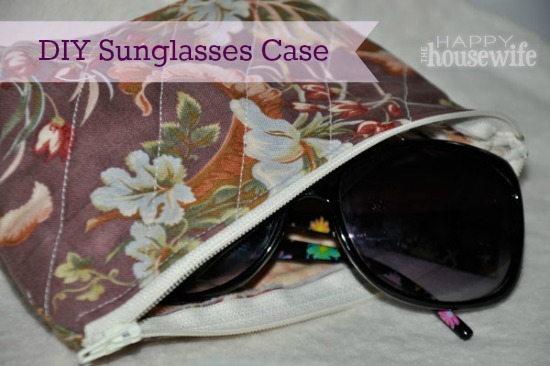 Toss in your purse and enjoy keeping your sunglasses protected!